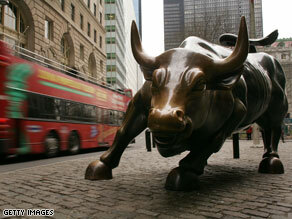 The Obama administration moved late Friday night to jump-start negotiations on Wall Street reform. Washington (CNN) - In a move aimed at jump-starting bipartisan negotiations on Wall Street reform, Obama administration officials have signaled that they want Democratic Sen. Chris Dodd to remove a $50 billion bank liquidation fund from his financial regulation bill. stalling progress on the reform bill. "The ex-ante fund was not in our original proposal we announced almost a year ago and we don't feel it is an essential part of final legislation," said one administration official late Friday. "The president will only sign a bill if it passes the test of putting an end to bailouts." White House aides have vehemently denied for days the provision will spark more bailouts. Republican aides asserted the shift is a sign the White House fears the criticism is having an impact. But Democratic officials suggested the move is really an attempt to call the Republicans' bluff to see if they still oppose the reform bill even after the controversial provision is removed. That would play into the White House's efforts to portray the GOP as defenders of the status quo on Wall Street. Still, White House aides said the President is more focused on the larger issue of reform instead of any one provision. "What is important is that we have a mechanism that allows us to wind down failing firms at no cost to the taxpayer," said White House spokeswoman Amy Brundage. "The Dodd bill does that, and we will work with Congress to make sure we achieve that objective." It is rather interesting to hear the related news that the opposition party in the senate formed an "union" with their signature campaign to gain negotiating power or push for work stoppage. it is almost comical to read their aides response to the White House's move. How for would they like to go to twist words? As a citizen watching from sidelines, their behavior looks nothing more than childish. Seriousness and Sense should some where step in their handling of legislative issues and prevail. I hope people are starting to realize the republican party suffers a credibility gap. First it was death panels now it is endless tax payers bail outs for big banks. The republicans in bed with big banks are playing the people of this country for suckers. Randall. . .Lynda. . . you're both blind partisan idiots. Educate yourself into what the GOP said and it's ramifications (do you even understand that term Randall??) before making fools out of yourselves. Besides. . you're the dolts that elected ANOTHER waffle into office. The Democratic Congress and Senate forced the healthcare bill through because they said it would "reduce" costs. Which it will not. Now they want to force financial reform, to what end? It's not the GOP'ers or the President who are mucking this up, It's CONGRESS. These comments are pointless attacks on citizens who happen to believe as strongly in their beliefs as you. A populace divided is much easier to control. Be responsible for yourselves and hold your elected officials to the same standards. Then and only then will our problems be resolved. This bill is another attempt by Obama to give the feds the ability take over indutries even remotely attached to the banking industry. You commentors blasting at the Republicans should be thnaking them for keeping Obama in check. If the federal regulators had been doing thier job in the first place the melt down would have been significantly less. What Obama needs to do is direct his Cabinet Secretaries to do thier jobs at thier respective agencies.